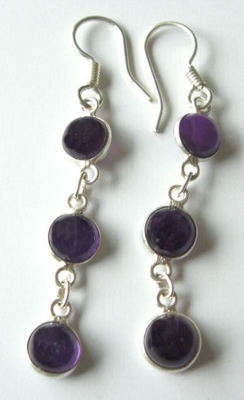 A pair of lovely AMETHYST dangle earrings with sterling silver. These earrings have 3 beautiful lovely dark mauve purple colour amethysts, the stones are round & unblemished and are linked together with silver links. These earrings dangle and move beautifully when you move. A free velvet pouch is included.